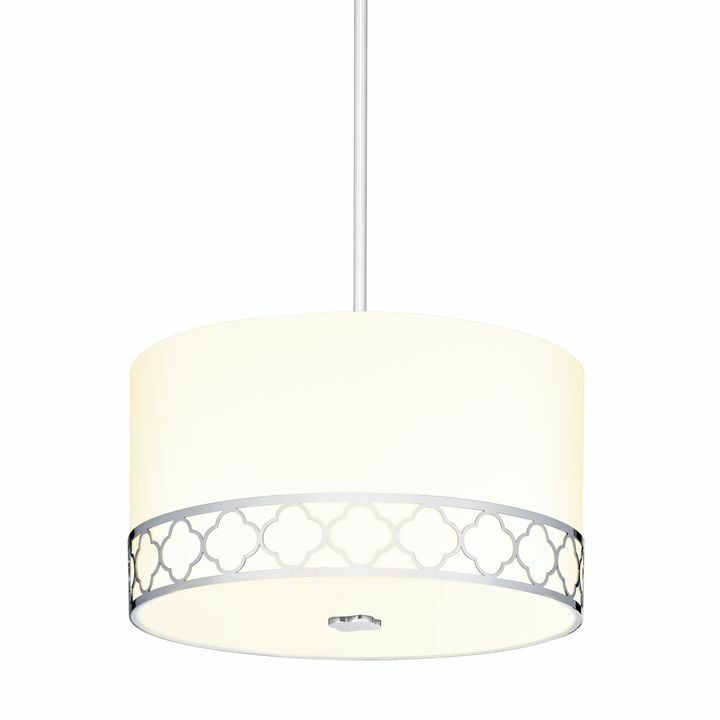 There are only 54 available of the Isla 18" LED Fabric Shade Scalloped Flush Mount, Polished Nickel. Your selected quantity has been adjusted. 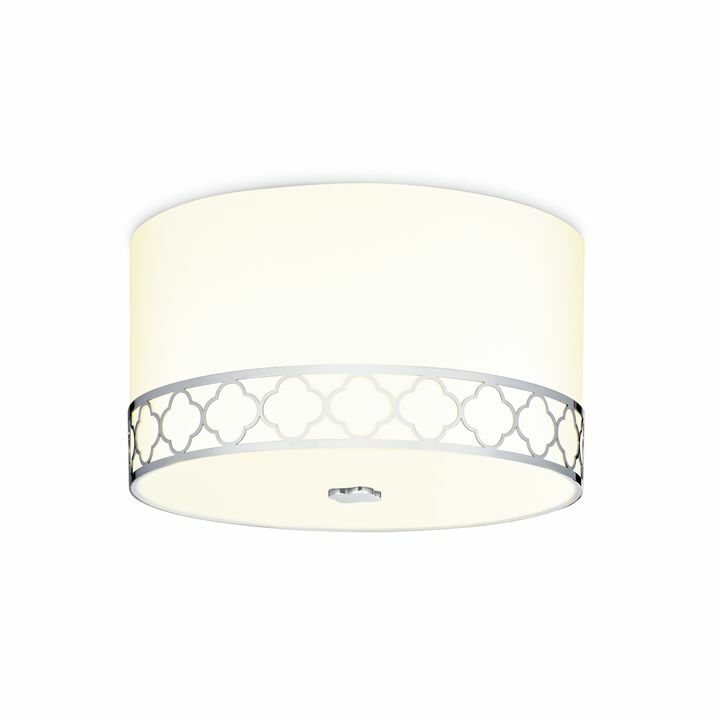 The versatile Isla scalloped flush mount provides a warm inviting light with white linen shade. 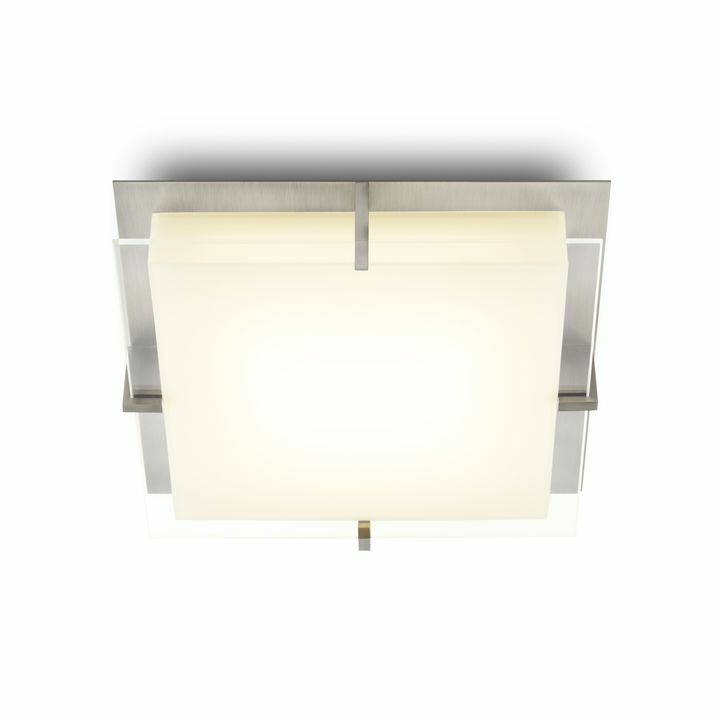 A beautiful steel frame mirrors the shape of the fixture elevating its transitional design. Perfect as a primary light source in a living room, hallway, entryway or bedroom. 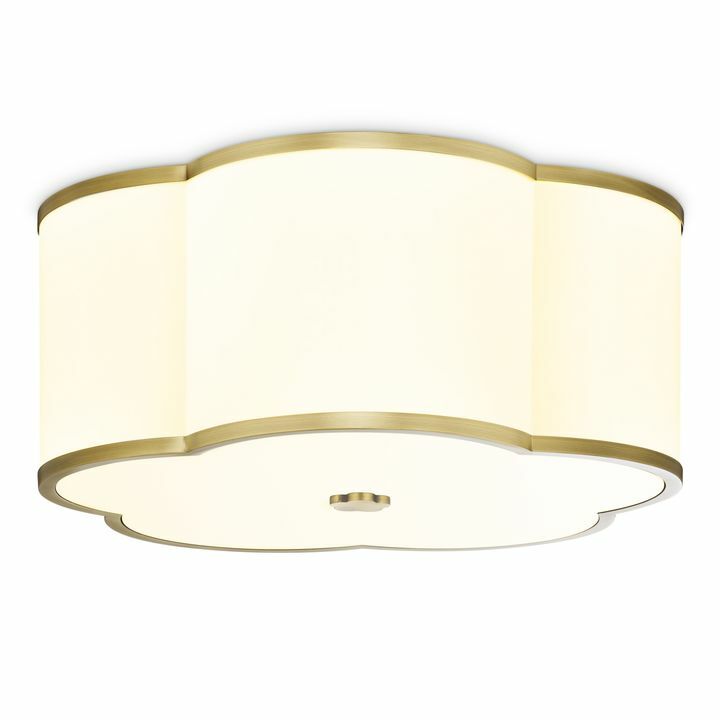 Love our new flush mount!! Love it so much wanting to buy another one to put in another room!! Very nice light. Improved look of the room greatly. Highly recommended! 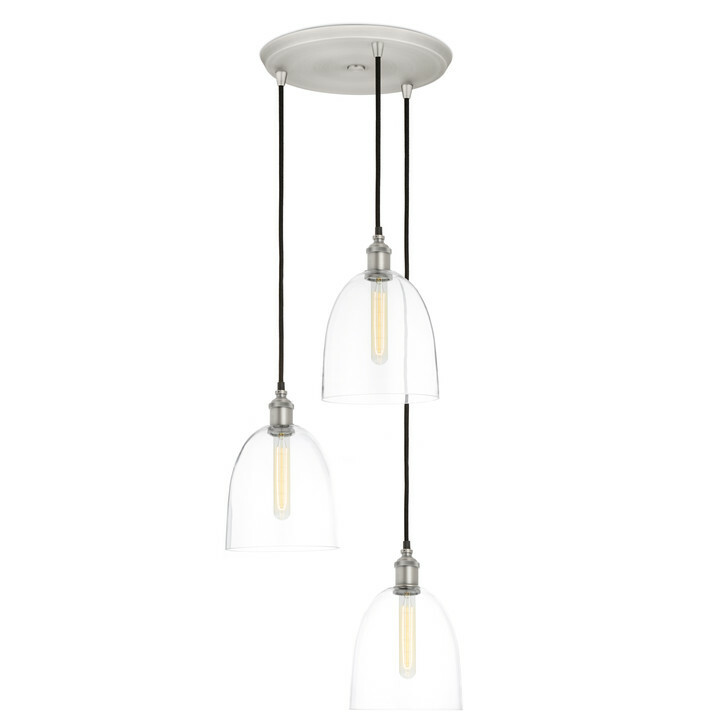 Arrived in 2-3 days - perfect condition and we love the fixture. 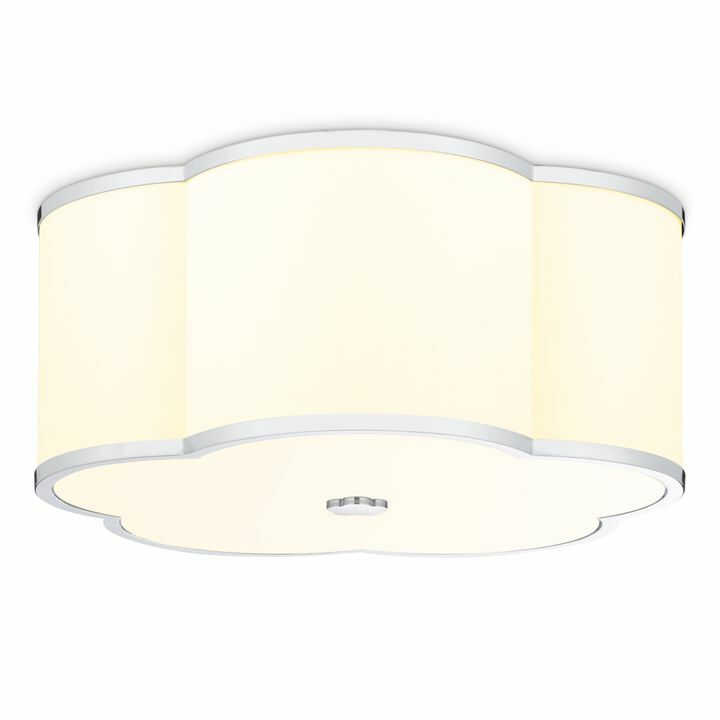 It is very substantial - we are using it in our laundry room and it gives off a lot of light. 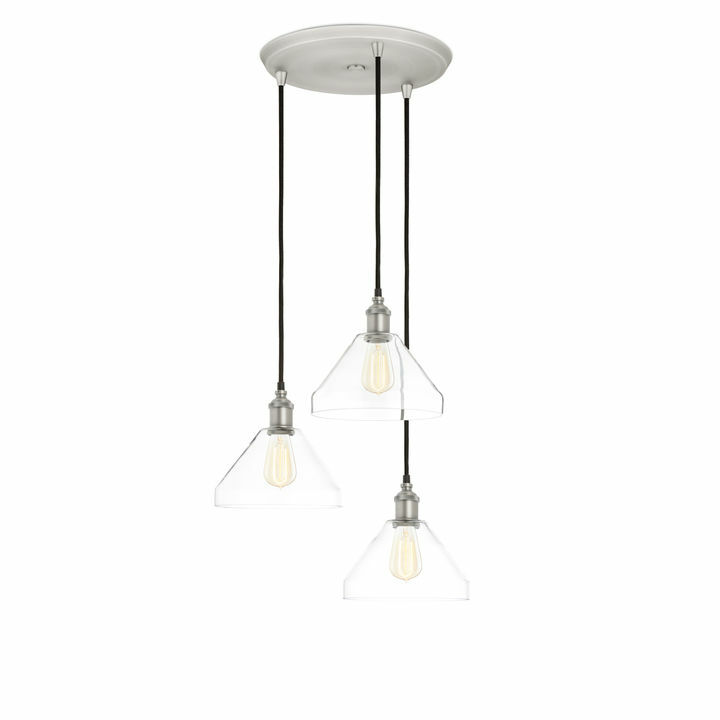 I wanted to replace the main light in my living room and found this and instantly loved it. I was a bit concerned about it being bright enough but it exceeded my expectations. I bought a second for my bedroom. Great item! Can I install it in a bathroom? The Isla flush mount is rated as "damp located". This means that it's ok to install in rooms where it can get steamy (like a bathroom, mud room, or powder room). Does this go in more modern bedrooms? 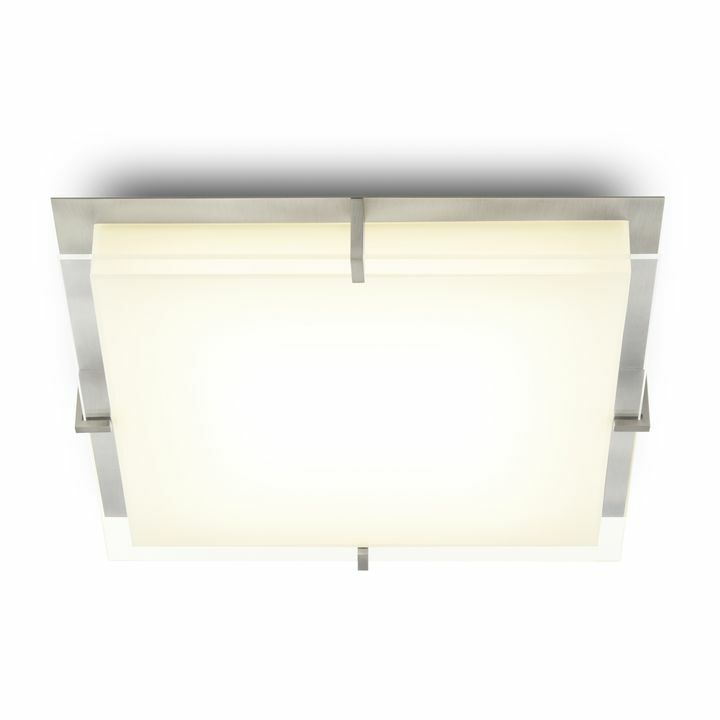 The Isla is a great transitional flush mount fixture. It looks beautiful in a bedroom decorated with either more modern elements or in a room with classic or retro decor. What is a CRI 90? 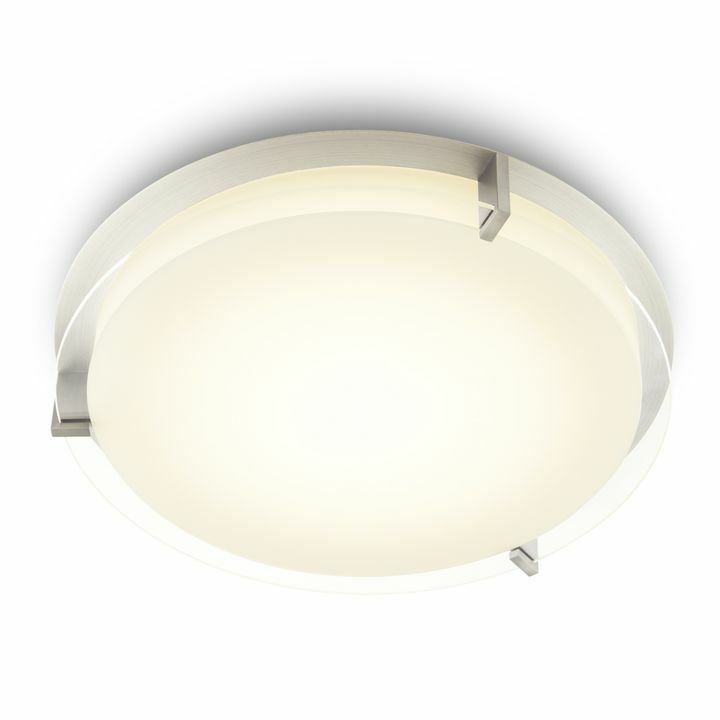 CRI 90 means that the light produced from the Isla flush mount is really good quality. 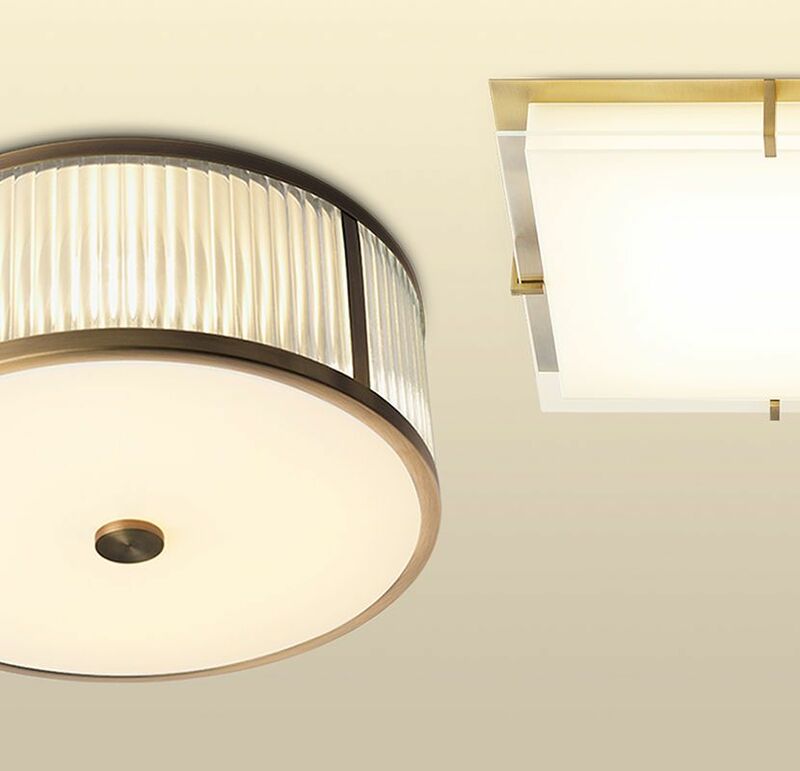 For more information about CRI ratings, check out this Lighting 101 article. What bulbs do I buy when it burns out? 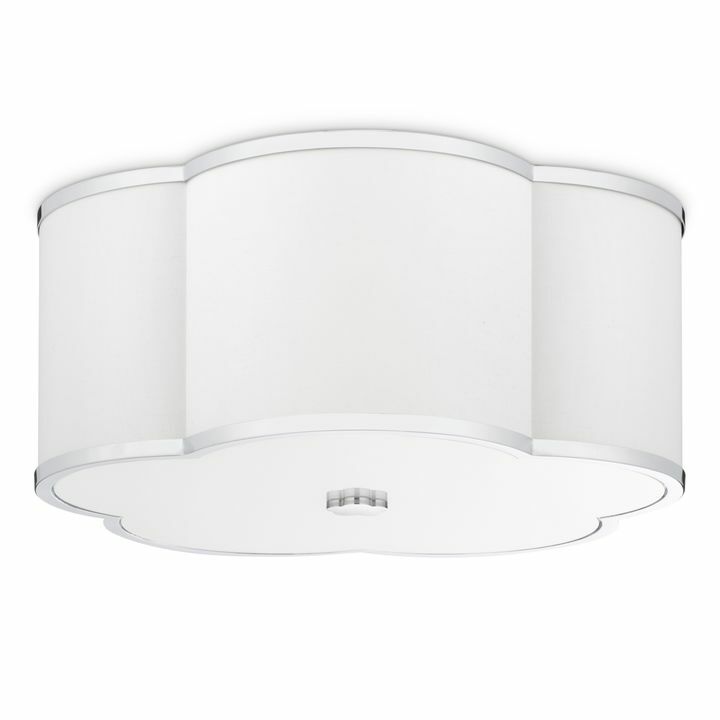 The Isla flush mount uses an integrated LED board instead of bulbs! It's possible to replace the LED board, but you probably won't ever have to. Their expected lifespan is 50K hours (that's a decade or two of regular use). If you somehow do run into trouble eventually, reach out and we'll take a look at what options are available. Is there a way to change out the light source to something besides LED? We appreciate something a little bit softer. While the LED board can't be changed, adding a dimmer can give you some flexibility so you can adjust the brightness of the light. 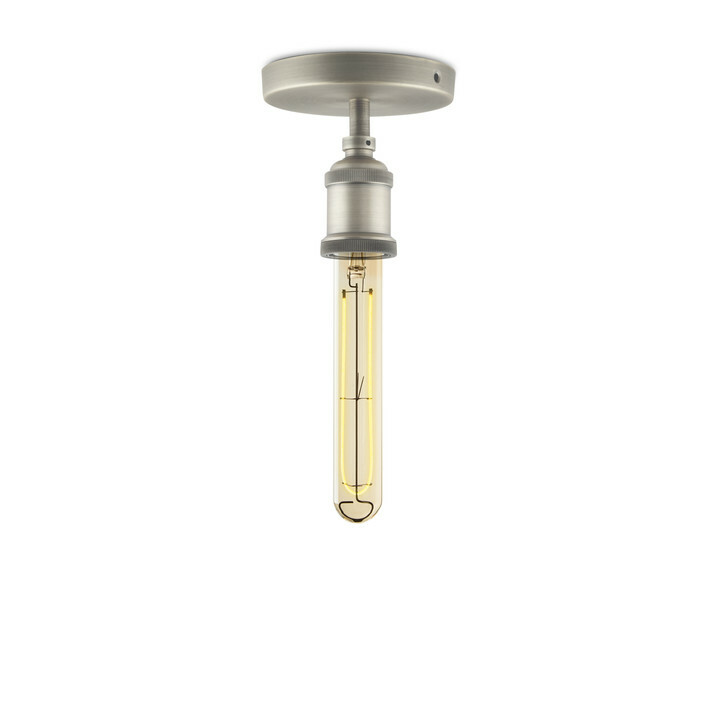 On the item's specification tab, you will find a handy list of dimmers that we've tested with this product and know work well. 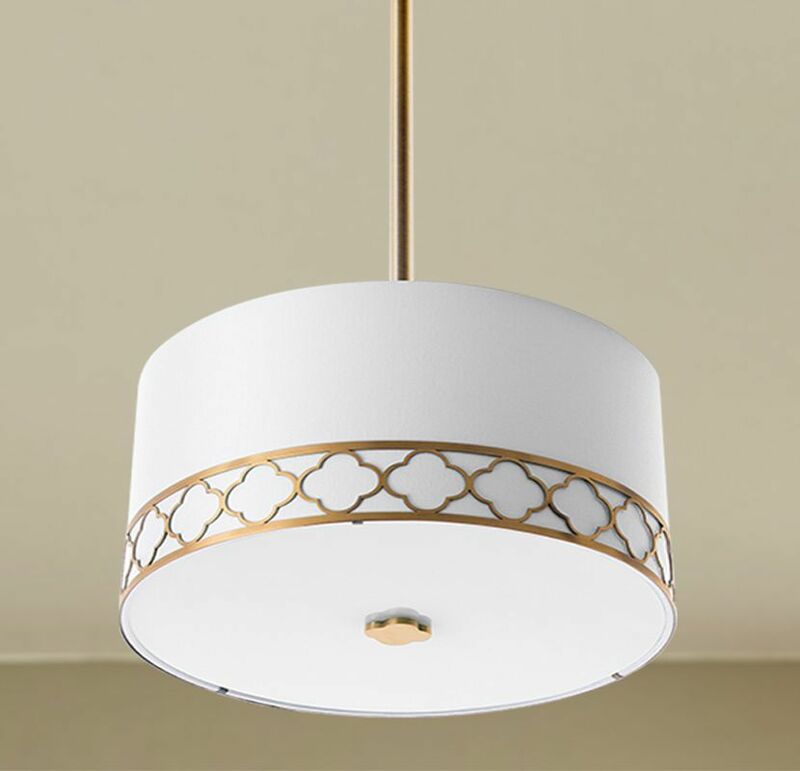 With its crisp, white linen and curved details, the Scalloped Collection offers a timeless, softer take on ceiling lighting. Modern bedrooms are versatile, intimate spaces. They serve as a physical reflection of your interests and style and as a retreat from daily stresses. 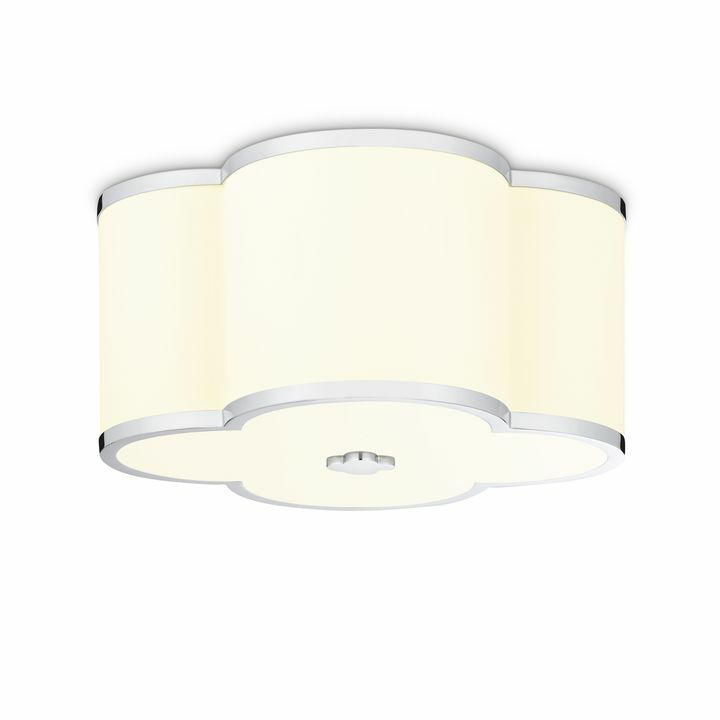 Modern bedroom lighting should be designed with attention on equal parts functionality and relaxation. 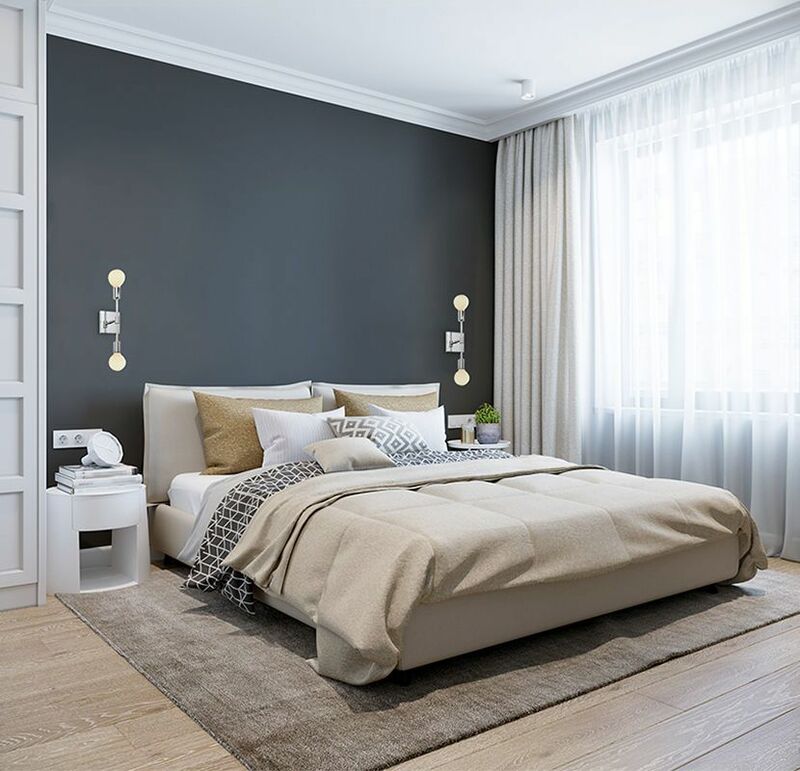 This 101 is a quick guide with tips for getting the bedroom lighting you need in with the modern bedroom lighting style you want.